Updated 11 May 2016 to address quote attributed to Stalin. Most adults no doubt, will remember 9-11, especially those living in the West. On that day in 2001 the Islamic terrorist group al-Qaeda conducted four coordinated suicide terrorist attacks on the United States, targeting symbolic American landmarks. News commentators declared that “the world would never be the same”; and they were right. We now face a world with loss of freedoms once taken for granted. Just boarding a commercial airline flight now entails laborious checks and searches, and there are many more serious and less obvious changes than that. … we continue to hear that “religion is the cause of all the wars of history and of these most recent tragedies”. Why would we include atheism as a religion? How do I decide what’s right and wrong? When people blame religion for bombings and wars in general, they seem to ignore the tragic history of the 20th century, which saw more deaths from acts of violence and oppression than all previous centuries put together. These were systematically inflicted on millions of people by their own governments. Names like Stalin, Mao Zedong, and Pol Pot have become infamous. 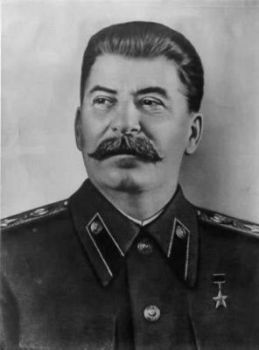 Joseph Stalin credited evolution with ‘freeing’ him from God. We could add Mao, Pol Pot and, sadly, many others. By the way, I am not saying that the Christian faith has not been linked with wars and the like, since every dictator knows that it has high emotive force in mobilizing and motivating people to make sacrifices. These however, are inconsistent with Jesus’ teaching. What I am saying is that we are being fed an incomplete picture. It is simply dishonest to treat every religion as if the beliefs were only marginally different. Hitler exalted evolution itself to the status of a moral absolute. Isn’t that precisely what we observe in our world where the religion of atheism is being taught in our schools (in the name of not favouring one faith above another) and where the world view reflected by much of the media has the same ideological framework as well. Evolution, the atheists’ creation myth, is effectively government endorsed and sponsored. Here we have the dangerous situation of religion, atheism, mixed with political power. Jesus said we are to judge by fruit. (Matthew 7:16) When we apply that criterion to evolution and atheism the results speak graphically. 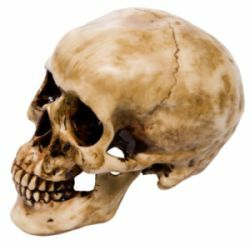 The religion of atheism which has been made intellectually fulfilling8 by evolution has brought a tragic legacy to the whole world.